I confess upfront I’m not a reader of romance novels, so Janetta Fudge-Messmer’s Early Birds isn’t a book I’d normally pick up to read. 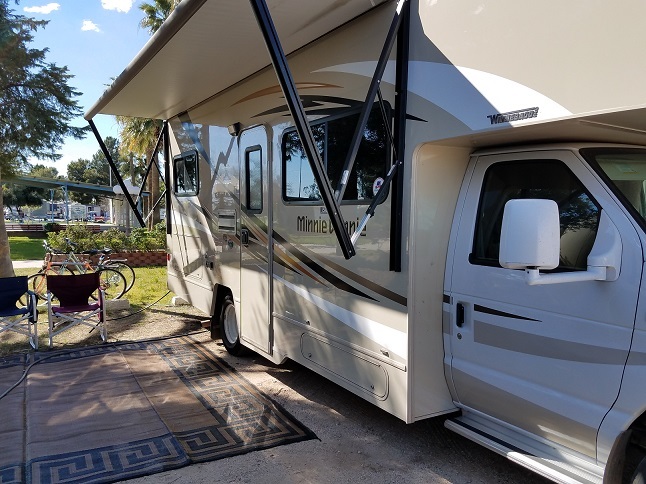 But when I saw the series features RVing couple Ben and Betsy Stevenson, I not only read it but asked Janetta if she’d be willing to submit herself to an ellenbooks interview. 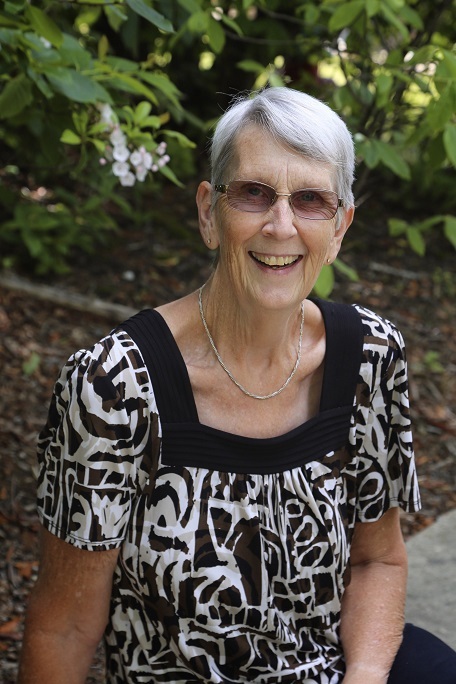 So the RV Mystery writers interview series has gone a little sideways here to feature Janetta, a fine writer and long-time RVer who shares how she writes while traveling and other insider details. How did you come up with the idea for Early Birds? Which came first – the romance or the RV? The romance. I’m not saying my novel is autobiographical, but the main characters have similar traits to me and my hubby. And some of the scenes??? 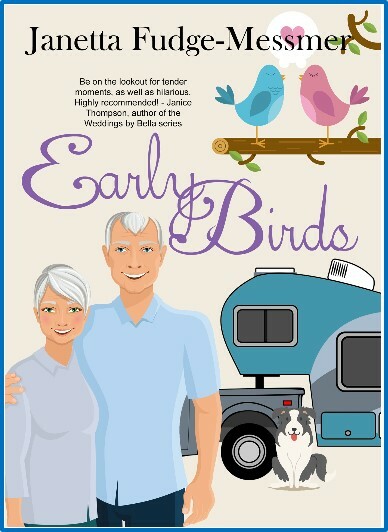 So much of the book “Early Birds” sounds like it was taken from a journal- a story that follows a couple’s decision to buy an RV and their first adventures on the road. How much of the story is based on your real life story? Or you can tell me to mind my own business. As I stated above, we resemble Ben and Betsy in a few of the scenes. However, my lips are sealed on which ones. I just say that our life has been and continues to be an adventure. Readers of my books often wonder how much my husband and I are like Walt and Betty Rollin, the main characters in my books. So…how similar are you to Betsy? Did your husband inspire your portrayal of Ben? Betsy’s likes and dislikes are mine every step of the way. In the case of me bringing up potato salad in my debut novel – I’ll always say give me a spoonful of my mom’s and I’m a happy camper. Ben is somewhat similar to my husband. The only difference (and you’ll have to peek at the cover for this one), he’s not taller than me. Friends and family ask if he’s standing on a box. Why and when did you start RVing? We’ve own campers, trailers and everything in between while we worked. On our weekend camping trips we’d talk about what we wanted to do when we retired. Seemed RVing called our name and that’s what we’ve been doing for the last four years. Are you currently a full-time RVer, having given up a sticks-and-bricks house for full-time travel in your RV? We sold our home and became full-timers in 2013. Since we’d owned different RVs over the years, we were confident we’d love the lifestyle. Wintertime we’re in Florida, spending three or four months in a little trailer we bought in Ft. Myers. The other time, we’re on the road again in our 25 foot Minnie Winnie. Do you travel with friends, as Ben and Betsy do in “Early Birds”? We’d love to have our own Rose and Larry traveling with us, but for the time being we’re traveling solo. Your main character loves Colorado. Is that your favorite place to travel in your RV also? Yes! Yes! Yes! I LOVE Colorado, so Betsy had to have a tie to my favorite place on earth. This year we had the pleasure of spending the entire summer in Colorado with family and friends. WOOHOO!!! Using one of your books as an example, could you take us through your process from idea through final published story? For example, what was the inspiration for the book, and how did that make its way into the novel? Since my first novel was traditionally published, I’m always curious about how the publishing process and relationship has worked out for other authors. Given that, what would you tell other Christian romance writers about working with Forget Me Not Romances? A small-publishing house worked for me and helped me get the “Early Birds” series out there. Cynthia does an outstanding job on the covers and she puts extra touches in the formatting of the books too. Example: At the beginning of each chapter she placed the love birds that are also on the cover of my books. Perfect!!! What advice do you have for someone who’s tackling their first novel? Don’t procrastinate. Sit down and write. Even if you’re a seat-of-your-pants-kind-of writer, do a synopsis. You don’t have to follow it to the letter, but have an idea of where you want your story to go. Take it from me – if you don’t, you’ll go down some rabbit trails you never expected. 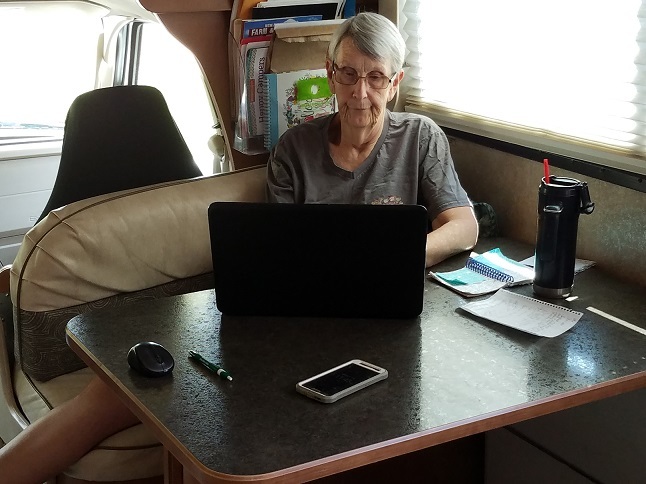 Do you write while traveling in your RV? How do you organize the space? My writing schedule is flexible. Sometimes I write in the morning before we go sightseeing. Other times I write when we stop for the night. There also times you’ll find me with my computer on the table while hubby is driving down the interstate. Whatever it takes to get the words down. Since I don’t have a designated space in our RV, I have a notebook next to me where I keep track of what going on in my story. It’s also where I write down ideas that pop into my head, which are at any given hour. Do you write about places you’ve traveled with your RV? If so, do you write while you’re there or do you take notes and photos to remember things? I make notes of things I see and hear while we’re traveling. Don’t know what I’d do if I didn’t keep my notebook handy. People say and do things that are priceless and I don’t want to forget a thing that happened. A woman’s one-sided conversation (and a loud one at that) at Ben and Jerry in Vermont still has me roaring with laughter. I’m hoping to use her chat in my next book. Rose would take that ball and run with it. What haven’t I asked that you’d like to mention? Along with writing, I’d also love to own another bed and breakfast. We owned one in Montrose, Colorado and we had the time of our lives. I have tons of stories from our time there and maybe one day I’ll write a series of books set in a B&B. Of course it would have to be in Colorado. Thank you, Ellen, for these wonderful questions. So much fun reliving the beginning. Thank YOU, Janetta! How can readers find your books or contact you? I love it! Such a fun interview, Janetta!